I’m going to delve into one of the most niche gaming markets and attempt to prove why one of the most successful and popular franchises from Nintendo is perfect for it. I think there are 5 reasons why Hyrule, Ocarina of Time, and Zelda create the perfect scenario for a Sandboxed or Legend of Zelda open world game. The gap I’m referring to is the seven years Link spends in stasis after grabbing the Master Sword. This isn’t referring to plot hole, although some argue that they exist. I’m saying that while Ganondorf was taking over Hyrule and turning it into a wasteland, the common people were doing their best to survive. That would be the perfect scenario for a sandbox game. Nintendo could easily set a game were you start playing soon after Ganondorf rise, and Hyrule is going through its darkest time. Your goal? Survive until the Hero of Time comes to save the land from the beast. The world needs to be expanded (especially if we want an online sandbox like Minecraft) but Ocarina of Time has different environments that players could explore. Players could build around these and interact around them. 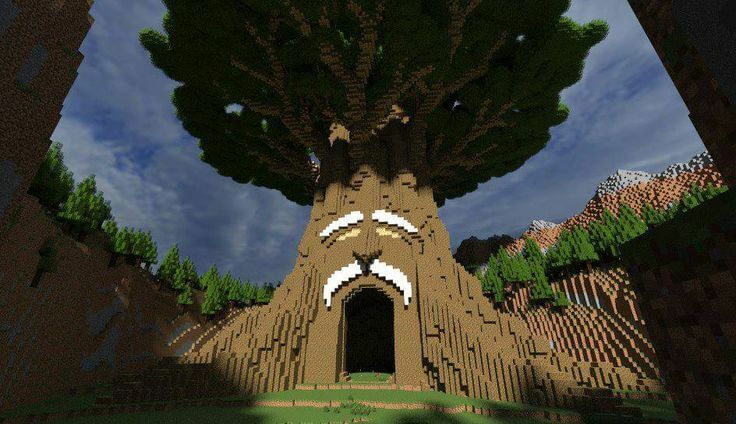 Some might choose to set their homes on the Kokiri Forest, or they might want to set home around Hyrule’s castle. The riskier kind could live in the dessert and I would set up around Death Mountain. Just gathering and building stuff is not always fun. Sure, some people enjoy building huge structures on servers without enemies, but at its core Zelda Sandbox would be a survival game. You have to stay fed and create a shelter from your environment and possible enemies. Remember how Hyrule would spawn skeletons at night? This is a perfect scenario for a sandbox! Build shelter during the day and defend it from skeletons at night. Oh and don’t forget about those creepy zombies that froze you when they saw you. Those would make some fearsome foes for non-heroes like us. Creepy Skulltulas, Jumping Spiders, and freaking Poes! That would be awesome. This might not be the most popular opinion, but sandbox games get boring after you reach a certain point. It happens once you have played long enough and have enough resources and items acquire that you don’t have any trouble surviving anymore. First, you start with some rocks and sticks, you barely survive each day but eventually you have a rocket launcher and can basically survive with just a couple of attacks. What’s the point then? Games like “Don’t Starve” have huge bosses that are meant to destroy your progress so you never get to survive long enough for the game to become stale. In Hyrule, we could have anything from Death Mountain’s Volcano erupting or Lake Hyrule Flooding. Using Desert Storms,or even Ganondorf himself destroying those that are thriving would be awesome. There are plenty of weapons on Ocarina Of Time and figuring out how to craft them would fun. I’m not sure whether we should have stuff like the fire arrow or magical abilities that are wielded by the Hero of Time, but there are plenty of items we could forge and collect a vast arsenal. The game could include crafting of world altering items like fences, walls, doors, etc. We would also have the fishing rod to gather food for our characters, and other items like the bow or the slingshot would be used to defend ourselves and hunt for food as well. It would be cool to craft glasses and even be able to milk cows or walk to a river to gather some water. Being able to craft clothing could add unique game-play changes like making a fire or water tunic. That old Hyrule we love so much could be crafted into an amazing open-world game that would entertain and connect many Zelda fans across the globe. It needs some serious planning, figuring out the progression, and the exact list of items that would be craftable. This is no easy task, and we would also need a set of tools for our characters that don’t seem too dull. Luckily there are a plethora of character in Ocarina of Time like Zoras, Gorgons, Kokiri, and more that make your charter choices interesting. Ocarina of Time would be the Perfect Sandbox game. This Legend of Zelda open world game would be amazing and more entertaining than any other sandbox games out there. Exploring Hyrule for those seven years could create a very engaging game. This is literally printing money for Nintendo! 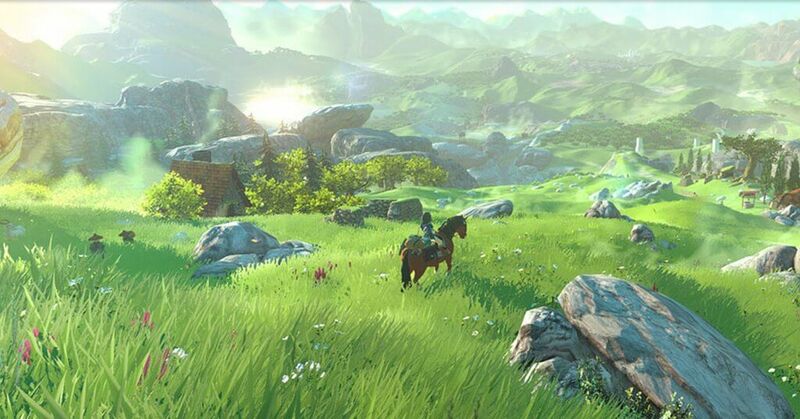 Open world Legend of Zelda is a blank canvas just waiting for someone to create a story or a game around it!